When cosmetic dentistry is mentioned, too often people think of personal vanity as the only reason why someone would seek out cosmetic improvements. The truth, of course, runs much deeper. Your smile is one of the first things you show to other people, and can be closely tied in with your self-confidence. If you are embarrassed about how your smile looks, that can carry over into overall bad feelings about your appearance, which can in turn affect how you feel about yourself as a whole. In addition, cosmetic dentistry is not just about creating a beautiful smile, although that is certainly one of the main benefits. Many times the entire structure of the face can be improved with just a few simple procedures. Restoring dental structures and improving the bite can help take years off your appearance by reversing the facial collapse that comes from missing or worn-down teeth. When the teeth support the face and jaw correctly, the result is a more youthful appearance. You might also be surprised at how often cosmetic issues and medical issues are connected. For example, if you have a bite problem that has led to worn-down teeth that don’t look very nice, correcting the bite and repairing the damaged teeth will not only improve your appearance, but may also help with things like headaches. Many people who think their problems are only cosmetic may find that many things improve with fixing the apparently cosmetic issues. Chipped teeth, discolored teeth, and excess gum tissue can all be fixed with cosmetic dentistry, and even small gaps in the teeth can be closed off. 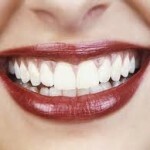 You might be surprised at just how much cosmetic dentistry can accomplish. For some people who only have minor problems, sometimes just one or two visits is all it takes to set things right. If you have anything at all about your smile that you would like to change, it’s certainly worth making an appointment for a consultation. Gone are the days when you would just have to live with your teeth, no matter what they looked or felt like. These days, anyone can have exactly the smile they want, and there’s no reason not to look and feel your best.